We spent New Year’s Eve traveling home. In between delayed flights, cancelled flights, rerouted flights, and thank-God-we-finally-made-it flights, I kept repeating “Google Home” in my head. Like Google had incorporated Dorothy’s ruby red slippers in the device and it could just magically send us home. I bet Steve Jobs had that in the works. All I can say through it all is that I have the sweetest angels for children who clearly love me because they didn’t complain or argue even once. I’d also like to thank God and the gamers who created the 10 different electronic devices I had in my carry-on that I refused to check at the gate. I’m not usually that kind of mom, but Amen! for Nintendo 3 DSXL, Smart watches, Kindle, smart phones and laptops. By the time we finally arrived at RDU, I had stopped wishing to Google Home and wanted to Jim Beam me up. When the car arrived to take us home, I was grateful to give a strange man the directions to my house and then rest my eyes while we drove in silence. With 5 mins to spare, we walked through the door, dropped our luggage and watched the acorn drop in downtown Raleigh with a deep sigh of relief that we were finally home. My Nannie always said whatever you spend New Year’s night doing, that’s what you’ll do all year. If that’s true, I’ll be staying up late googling in 2017. Coffee is appreciated. Happy New Year everyone! 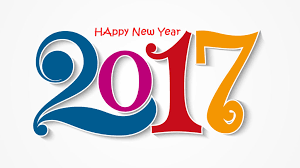 May 2017 be your best yet!